Before we get started, I want to let you know that the intention of this article is NOTto be a commercial. I'm not asking you to go to the various websites to make a purchase. I ask you to look at the images and feel how it feels to be in each location. We begin with Spirit of Nature. In the beginning, as you awaken from a traumatic moment - whether it's facing cancer right now, or remembering something painful from the past - what you need most are nurturing surroundings and to feel safe. Spirit of Nature was created with that in mind. Even though it has gone through many incarnations as I've changed the graphics and colors, it has always remained a comforting place to be. The soothing colors offer nurturing for those in emotional pain. After the shock of the emotional trauma begins to fade, the next step is to learn about all the things you don't know. Most dear one's just "waking up," go on a quest for wisdom. Whether they are learning about alternative medicine to heal cancer, or want to know what Chakras are, they begin to pour over articles, books, and attend seminars. I read about 300 books in 2 years. 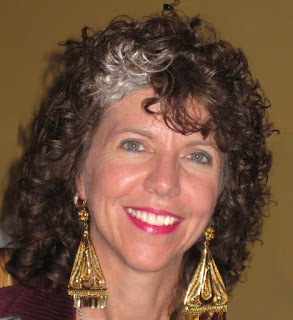 I attended numerous workshops and learned several healing modalities. Spirit of Nature helps to fill that void. 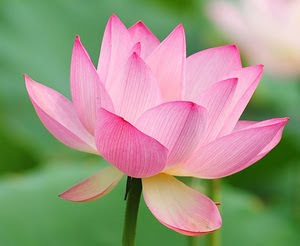 The articles archive has hundreds of articles offering hope, insight, and tools to assist you no matter where you are on the healing and enlightenment journey. Also during these early stages, one learns about spending more time in nature and how to meditate. And, again, Spirit of Nature talks a great deal about spending time in nature. Once a person feels safe and is beginning to learn new tools and gain new wisdom, it is time to plunge to the depth of self and look at the truth of who you are - your shadows, fears, limiting beliefs, judgments, expectations, how you manipulate and are manipulated by others, how you react under various circumstances because of unhealed issues that remain from your past. Dolphin Empowerment takes such a plunge. At Dolphin Empowerment, you are literally swimming underwater (the depths of self) with the dolphins. That website, as well as Dancing Dolphin Essences (which uses the same graphics), take you on a deep inward journey to discover, and begin to heal, the things that keep you limited, stuck, and unhappy. Most of the tools I offer for the journey are available on these 2 sites. Private Energy Healing Sessions and the healing program, Freeway to Freedom, are both accessed from Dolphin Empowerment. 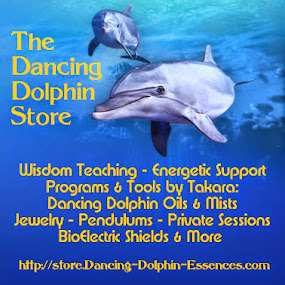 Dancing Dolphin Essence are often like a visit to a healer, counselor, or uplifting friend. They offer nurturance and uplifted frequencies to help you get through all the emotional garbage from the past. Once enough emotional pain has healing, you begin to feel fabulous. You come up out of the water (rising above the chaos and disharmony of the past) and run free. Absolute Joy Now shows a beautiful tropical sea and a woman frolicking on the beach. With her head thrown back, you just know she feels incredible and free. When you have felt happy, stress free, and in flow with life long enough, higher, wiser aspects of self begin to merge with you. And you get closer and closer to becoming the I Am, being the living embodiment of Divinity, radiating forth love, healing, and upliftment to everything and every one that surrounds you. Instead of living a life that is compartmentalized, the All flows into all aspects of your life. You are merged, vibrantly alive, and whole within the Godforce. Every moment is sacred. You become a gift to the world. You can begin to say, as Jesus did, "I and my Father are one!" And you know, with absolute certainty, that those words are true. Jesus also said, "Even greater things than these shall ye do." You are a child of God. You are a gift to this world. You have been given "talents" and it is up to you to heal enough of your emotional pain to step forth and become the Magnificent being you came here to be and to accomplish all that is yours to accomplish. 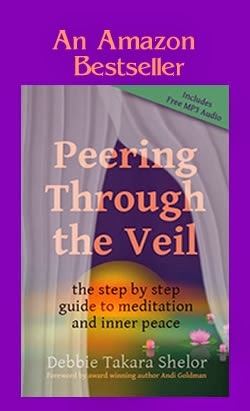 That sense of Oneness and wholeness is reflected by the merging vibrant colors of my new book cover and newest website, Peering Through the Veil. The site, obviously, isn't finished yet. Only two pages are available. But you can easily get the feeling by visiting. There is vibrancy and joy. There is also tranquility and inner peace. I refer to the presence of both as a feeling of quiet elation. A vast wisdom is also almost palpable. The spiritual journey is never complete. You are ever evolving. As you grow and expand in consciousness and awareness, new things will periodically come up and you will have to go back to the beginning and repeat the steps. Each time you complete the steps, you will reach a higher plateau within Self. Each new level allows you to feel a greater level of clarity, confidence, joy, flow, conscious manifestation, inner knowing, and freedom than the level before. You know an issue or personal relationship has been completely resolved when you can talk about it without any emotional reaction. It no longer makes you sad, angry, or afraid when you mention the person's name or discuss the details of the event. You are simply stating facts of something that was done or said long ago. And when you reach that stage, there is no more reason to talk about it anyway. Thanks for stopping by. I was just in the middle of writing an article about just that.